Cherry Mobile Flare J3 Now Official, Equipped With A Fingerprint Sensor For 3699 Pesos Only! 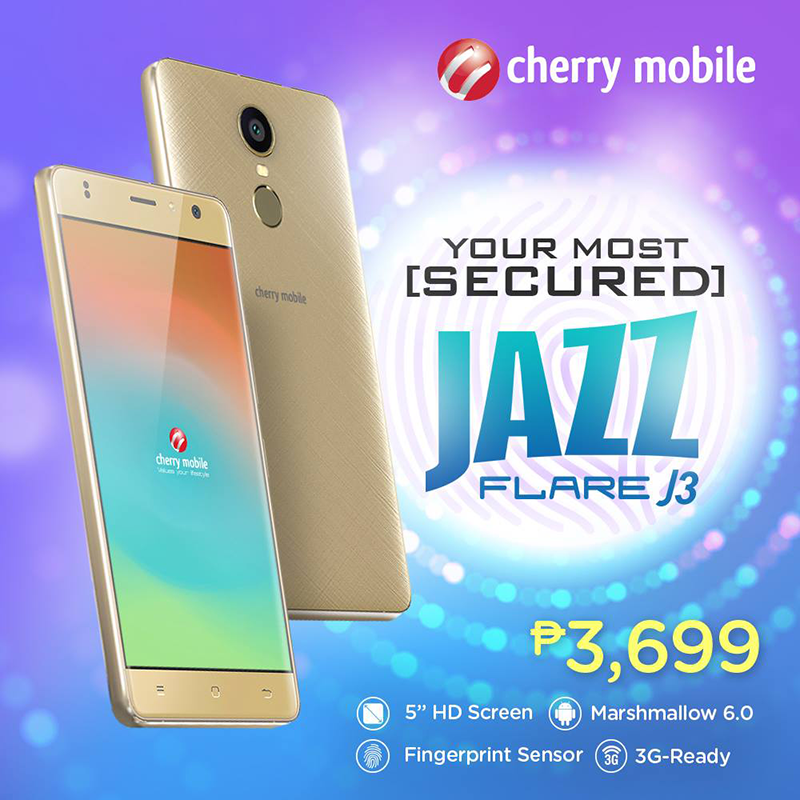 Home / cherry mobile / mobile / news / Cherry Mobile Flare J3 Now Official, Equipped With A Fingerprint Sensor For 3699 Pesos Only! After being spotted on some kiosk few days back, Cherry Mobile has officially announced the Flare J3 on their social media accounts. The Cherry Mobile Flare J3 is an entry level phone equipped with stylish design and fingerprint scanner at the back. It's has a good looking 5 inch HD screen 2.5D curved glass, 1.3 GHz MT6580 quad core processor, 8 MP main camera w/ AF and LED flash, and a 5 MP selfie shooter with LED flash too. The Cherry Mobile Flare J3 is now available nationwide with an SRP of just 3,699 Pesos. That made it one of the most affordable phone with fingerprint scanner technology for enhanced security.